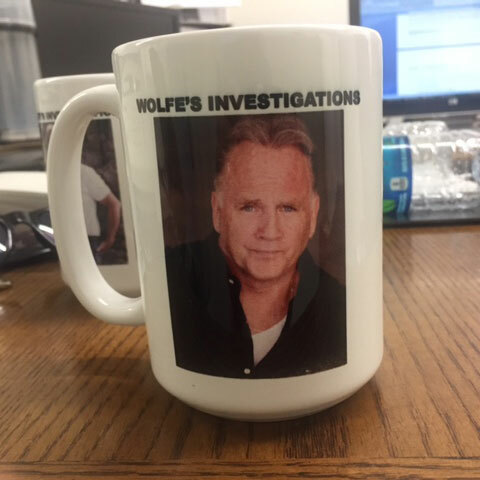 As Seen On Investigation Discovery "Cry Wolfe"
10% of all proceeds go to the Homeless Veterans of America. Women's 100% cotton t-shirt with the Wolfe's Investigations wolf head logo. 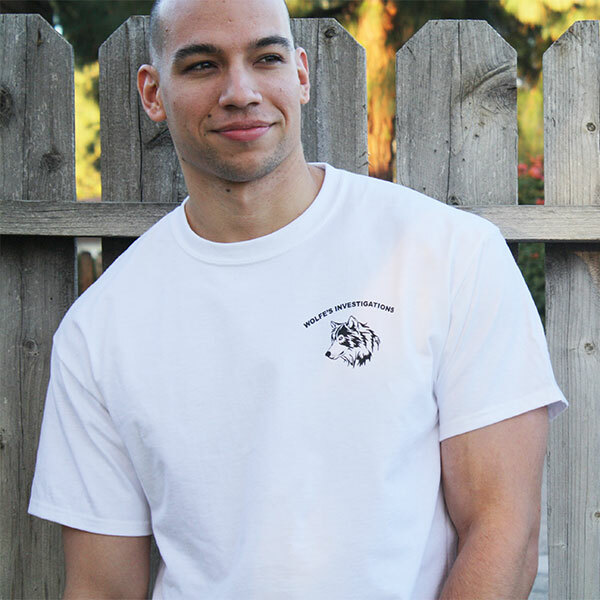 Men's 100% cotton t-shirt with the Wolfe's Investigations wolf head logo. Women's soft 100% cotton v-neck shirt with the Wolfe's Investigations wolf head logo. 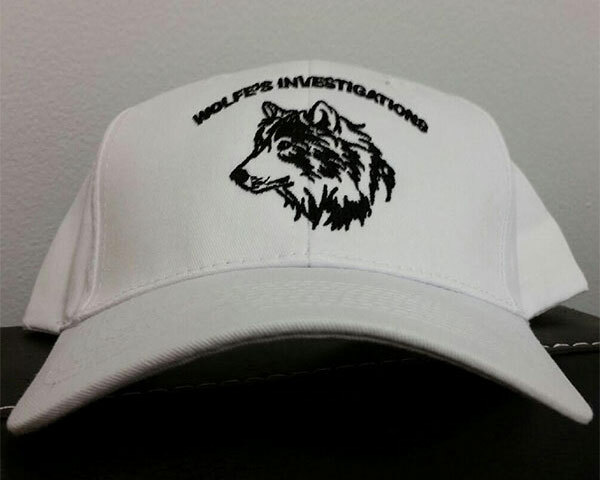 Embroidered 100% cotton polo shirt with the Wolfe's Investigations wolf head logo. 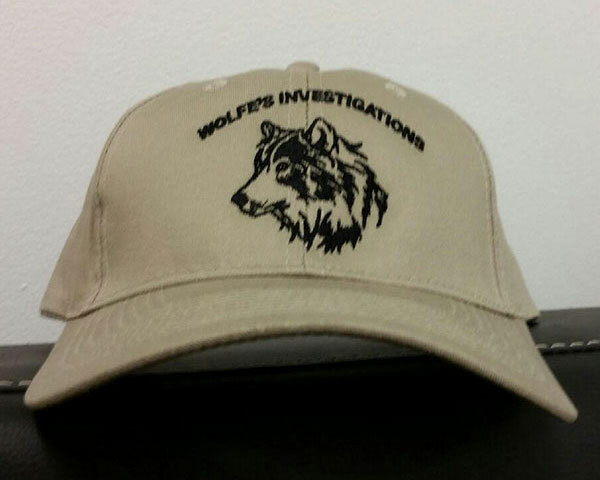 Embroidered caps with the Wolfe's Investigations wolf head logo. 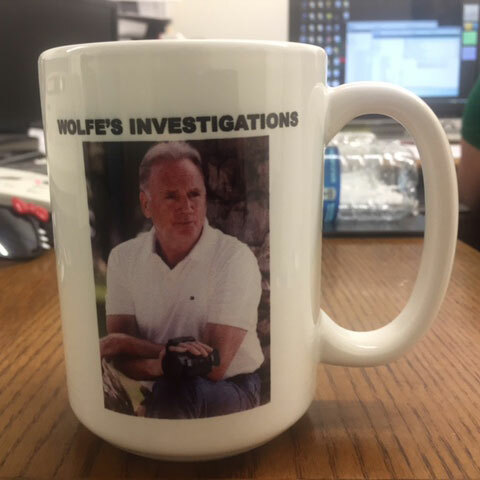 Wolfe's Investigations 12oz. coffee mug, featuring Brian's photo on two sides. Three different styles/photos available. 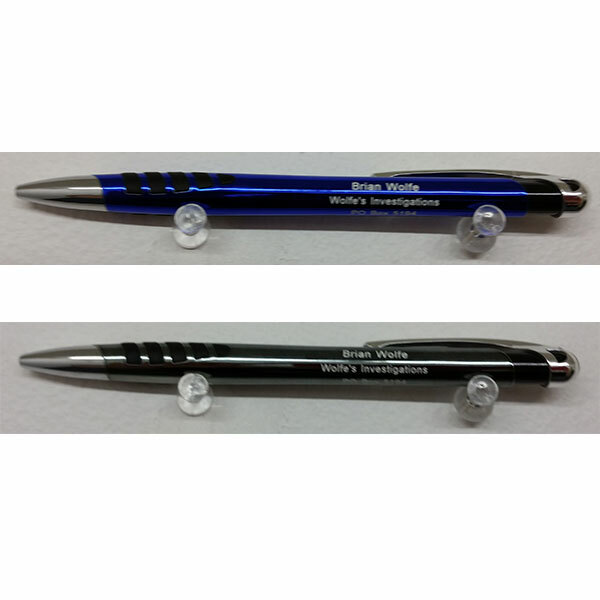 The same pens that Brian uses, emblazoned with: "Brian Wolfe, Wolfe's Investigations, P.O. Box 5194, West Hills, CA 91308". 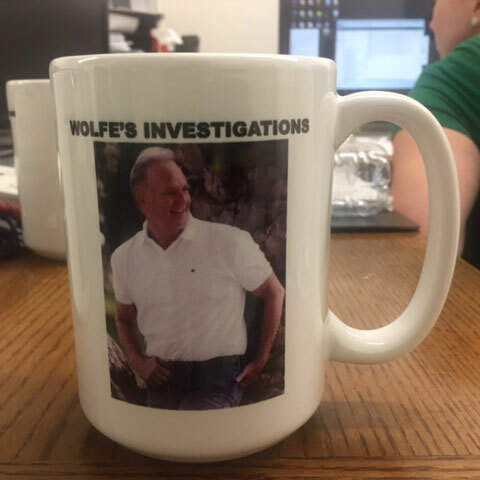 Wolfe's Investigations is a full-service licensed and insured investigative company dedicated to providing our clients with the most comprehensive and professional investigation services available. We primarily serve the San Fernando Valley, Los Angeles County (Beverly Hills, West Los Angeles, Santa Monica, Pacific Palisades, Malibu), and Orange County (Newport Beach, Irvine, Dana Point, Yorba Linda). We conduct investigative operations around the world, and have travelled extensively throughout the United States, Europe and Asia for our clients. Call, email, or mail assignments to our offices 24 hours a day.